In June we delve into the world of animal symbolism! We will explore the different personality traits that certain animals represent, and how those traits can be adopted by humans to channel different spiritual identities and in some cultures, forecast the future. 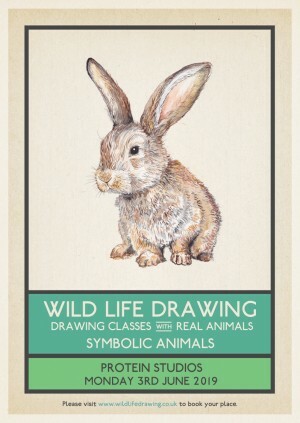 We'll be meeting and drawing rabbits (symbolising fertility and spontaneity), frogs (symbolising renewal and rebirth), bearded dragons (change and transformation), tortoises (peace and patience), snakes (healing) and guinea pigs (because they're cute.) Join us for a mindful class of spirituality and spirit animals! Wild Life Drawing is working with the finest animal handlers, sanctuaries and organisations to put on these events. All the animals that attend the sessions are well used to humans and comfortable in different environments, their welfare is our highest priority. These animals will be attending with two highly experienced animal handlers that not only care for these animals but also re-home other unwanted exotic pets or rescue animals. These animals will be in specially designed runs, with plenty of enrichment activities and hidden treats to keep them occupied and happy for the time they are with us, whilst mirroring their natural behaviour. All animals go through a 'Heath and Happiness' test before attending any external events, and are rewarded with their favourite foods.